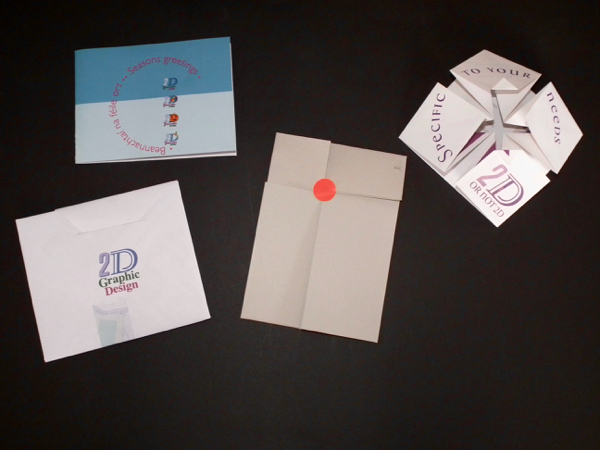 From time to time I produce a variety of Promotional Pieces for my business. This allows me to experiment with unusual folds, pop up techniques and paper engineering. 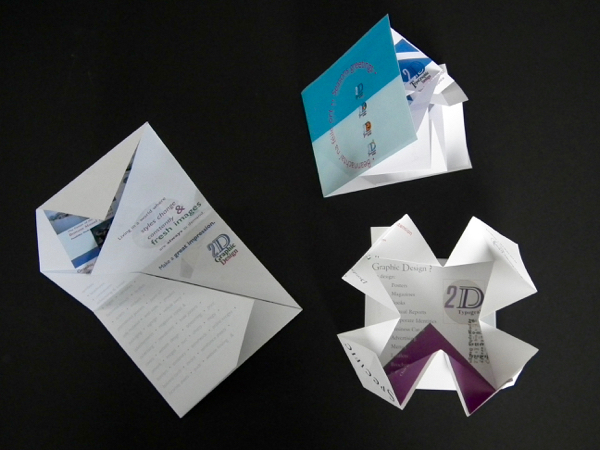 Adapting Origami folds to conventional European print methods. Below are a few examples. 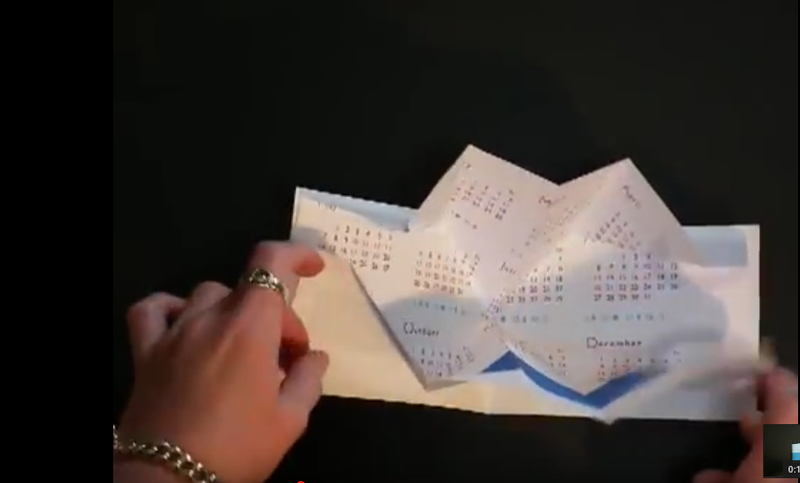 • The Seasons greeting card looking to the future with an unfolding calendar for the coming year. • Bring your Red dot! 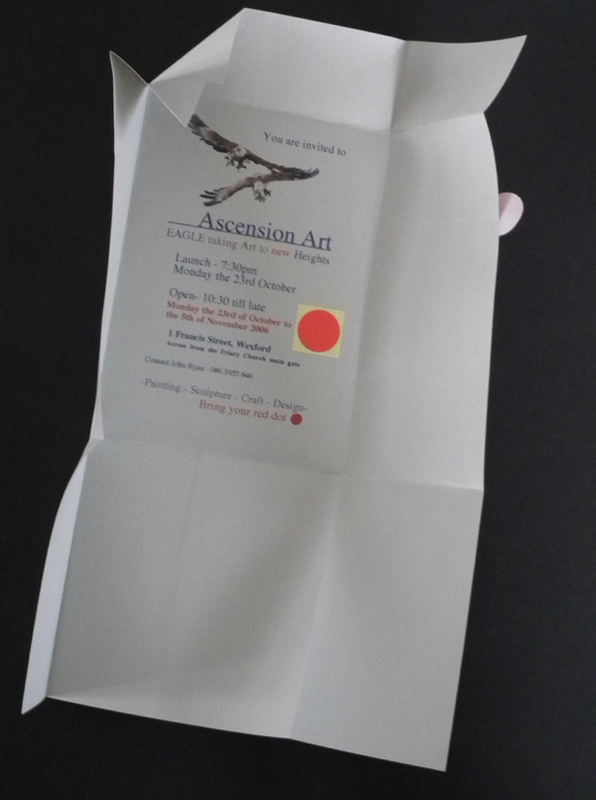 An Exhibition invitation with folds based on, keeping a cardboard box closed without using tape.